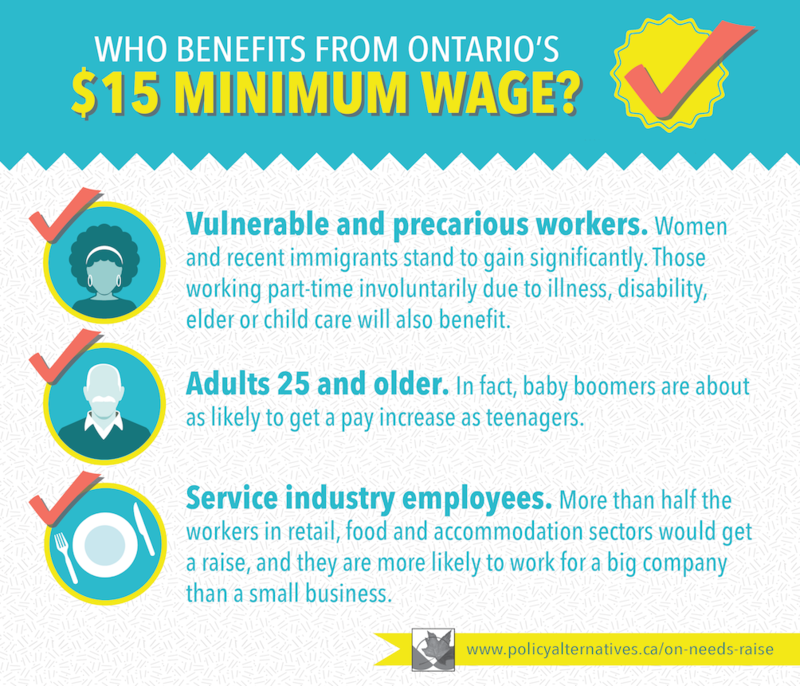 Home > Printer-friendly > Infographic: Who benefits from Ontario's $15 minimum wage? The Ontario government has committed to raise its minimum wage to $15 on January 1, 2019. But who in the province will benefit most from the increase? Like and share the image below, and read our report to find out more about which Ontarians will get a raise: Ontario Needs A Raise: Who Benefits From a $15 Minimum Wage .